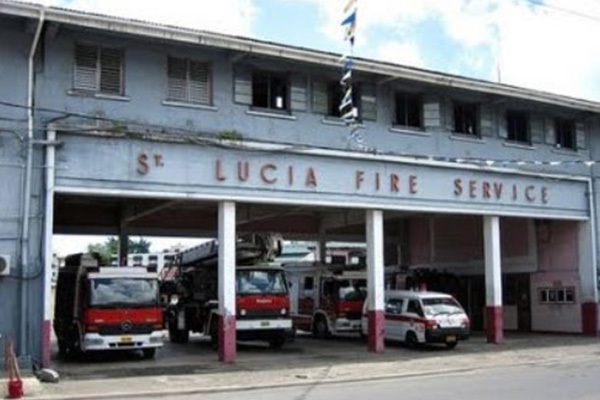 Castries, St. Lucia (CMC) — Members of the St Lucia Fire Service Association (SLFSA) have voted in favour of industrial action as they seek to get the authorities to pay attention to a number of outstanding grievances. ALFSA president Shane Felix told reporters that members of the executive were now “strategizing” as to the way forward and would not make the details of the planned industrial action public as attempts were already underway to “frustrate” their action. The SLFSA says its members are fed up with the management of the Fire Department, and are concerned that the recommendations of a commission of inquiry into the St Lucia Fire Service have not been implemented. They said also that a number of complaints, dating back to several years have gone unheeded by successive administrations. But a management official of the Fire Service who spoke on condition of anonymity questioned the wisdom of the planned industrial action and said the public and the country would be placed at risks. “Recommendations are recommendations and you can’t force the government to implement them because they reflect your opinion,” the official said.